On 21 June 2015, the Polisario Front made the unilateral declaration on behalf of the people of Western Sahara to the Swiss Federal Council that it undertook to apply the 1949 Geneva Conventions and Additional Protocol I to the conflict between it and the Kingdom of Morocco. Remarkably it is the very first time that the Swiss Federal Council has accepted such a declaration by a national liberation movement and a non State entity under international law. This entry was posted in Political issues on September 21, 2015 by appleton. This entry was posted in Human Rights, Political issues on September 21, 2015 by appleton. In a recent development, which is all too familiar, an Irish oil company San Leon Energy began drilling south of Morocco’s border, on the north-western coast of occupied Western Sahara. For the oil drilling – and other resource extraction – to have legal validity, however, it ought to be carried out with the consent and in the interest of the occupied population. This entry was posted in Oil and gas exploration on September 21, 2015 by appleton. Reporters Without Borders is very worried about the current state of freedom of information in the Kingdom of Morocco, where French President François Hollande is due to begin a two-day visit on Saturday. Moroccan journalists who violate the taboos on criticizing Islam, the monarchy or the country’s claim to Western Sahara are liable to receive heavy fines or long jail terms. This entry was posted in Human Rights, Political issues on September 19, 2015 by appleton. In her speech to the Senate Senator Claire Moore, Labor Senator for Queensland, spoke of the injustice of Morocco’s occupation of Western Sahara for over 40 years, the oppression and human rights abuses endured by the Saharawi, the plight of those in exile in the desert of Algeria and the failure of the United Nations to require Morocco to honour its ceasefire agreement to allow a UN referendum in Western Sahara. Senator Moore acknowledged the presence in the gallery of a delegation from the Australia Western Sahara Association who have been working tirelessly to ensure that this message is not lost in our community. This entry was posted in General, Human Rights, Political issues on September 10, 2015 by appleton. 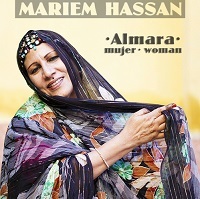 Mariem Hassan,the singer whose protest songs on behalf of her Sahrawi people in north Africa brought her international recognition has died of bone cancer aged 57, in a desert refugee camp for the Sahrawi people in south-west Algeria. She used her powerful voice to publicise the plight of those who were forced to flee from their homeland when Morocco took control of Western Sahara in 1975. This entry was posted in Political issues on September 3, 2015 by appleton.